Here at the Old Town Mail House we believe in providing services to our customers that make life easier. Do you want the convenience and security of paying your bills in person and getting a receipt at the time of payment? The Old Town Mail House is an agent of the CheckFree Pay system. This means that you can simply walk-in, pay your bills in person from hundreds of various types of companies that send you a monthly bill, receive a receipt and the satisfaction that the transaction is complete. That means no worries your payment may be lost in the mailing process. ...and many more, just ask! To make a bill payment, please bring your payer’s bill stub. Don’t have one? No problem. Simply bring your account information and payments can be easily processed. Payments are typically accepted in the form of cash; however, some companies offer the option of paying with a check. A convenience fee for this walk-in service is charged and varies by biller. All fees must be paid in the form of cash. Yes. After processing your payment, you will receive a receipt as proof of your payment. Payment delivery and posting times vary by biller but usually post by the next day. In some cases, as with Pacific Power, it can take as little as 1 to 2 hours. Not sure your payment can be made here? Come on down to the Old Town Mail House and we’ll check and see if your payment can be made to hundreds of various companies. The Old Town Mail House also accepts debt collection payments to General Credit Services in the form of cash only. After processing your payment, you will receive a receipt as proof of your payment. 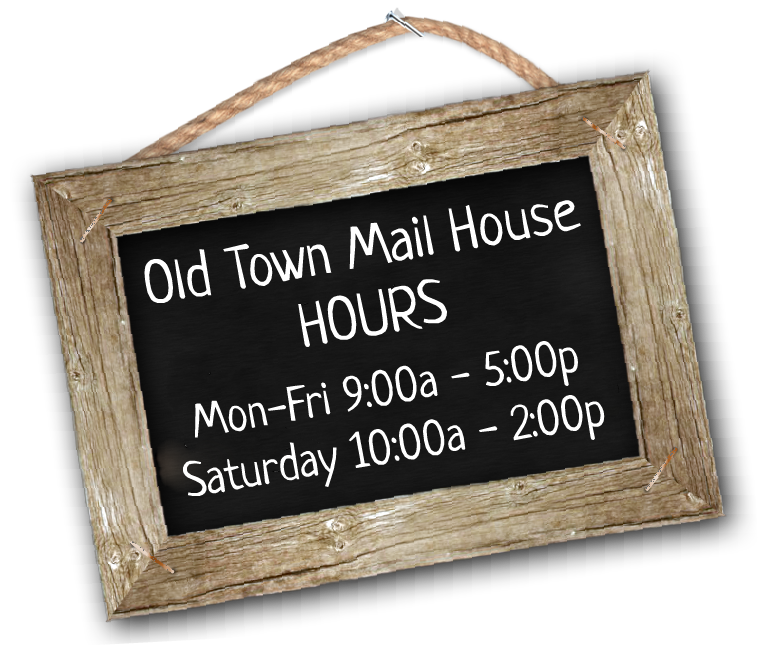 The Old Town Mail House makes paying your bills easy!